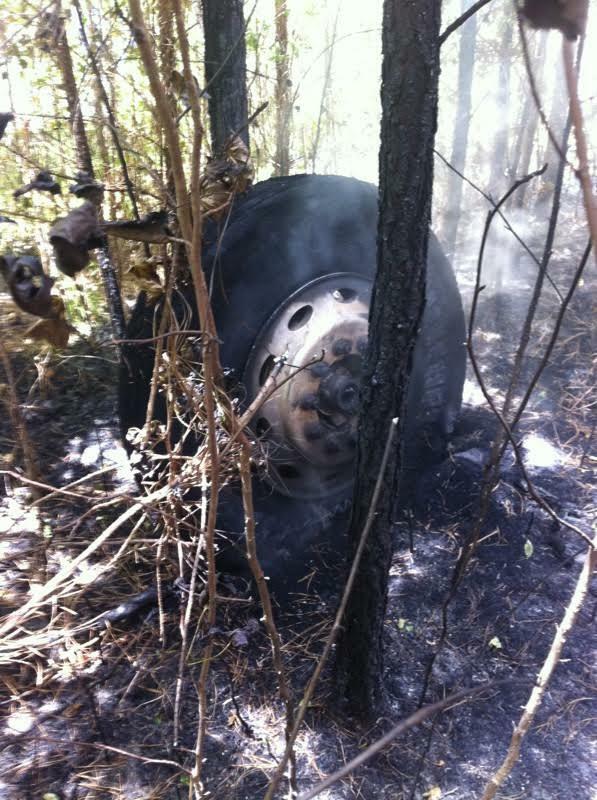 38 year old Edgar Flores, of Nacogdoches kept his loaded down 18 wheeler from turning over, then put out its fire. Disasters Averted, Driver and Fire Fighters React Quickly, GOODRICH, August 10, 2015 - At approximately 1:35 pm on August 10, 2015, an 18 wheeler that was loaded with lumber and being driven by Edgar Flores, 38, of Nacogdoches was south-bound on US-59 in the vicinity of Goodrich. What appears to be a bad bearing caused his wheel to get to hot (front driver's side wheel). The intense heat caused the wheel mechanism to shatter. The front driver's side wheel and tire shot off the rig. The flaming wheel rolled through the dry, grassy median starting a fire, across the north-bound lanes of traffic then crashed a gate on the north-bound side, rolled into the private property and started a fire. While that was going on, Driver Edgar Flores managed to keep his heavily loaded truck from turning over, steered it safely to a skidded stop, then grabbed his fire extinguisher and put out the fire on his truck where the wheel flew off. Livingston and Goodrich Volunteer Fire Departments were dispatched along with Americare Ambulance Service, Deputys from the Polk County Sheriff's Office, and Troopers Allen Stanton and Darwon Evans with the Texas Highway Patrol. The volunteer firemen were able to get all the fires out. Traffic on the south-bound side was partially blocked as fire trucks worked the medians putting out grass fires. The north-bound side was completely blocked for about 20 minutes. Nobody was injured during the incident. At time of press (4:30 pm), the truck is being removed. This picture was taken from the south-bound side of US-59. Smoke in the distance is clearly visible. The flaming wheel shot across the median starting a fire in the median. The flaming wheel continued across the north-bound lanes of 59 and crashed a gate on the other side of 59, then starting a fire on private property. Flores did an amazing job of controlling his 18 wheeler as he steered it to a stop at a crossover entrance and kept it out of passing traffic. The front driver's side wheel mechanism shattered from overheating causing the wheel to fly off. Vounteer Fireman, Lee Jones and other firemen drop whatever they're doing and get these fires out as quick as possible. A forest fire can start with just a spark and spread quickly and take days to get out and burn thousands of acres. The rogue wheel came to rest between 2 small trees (photo by Ricky Taylor). 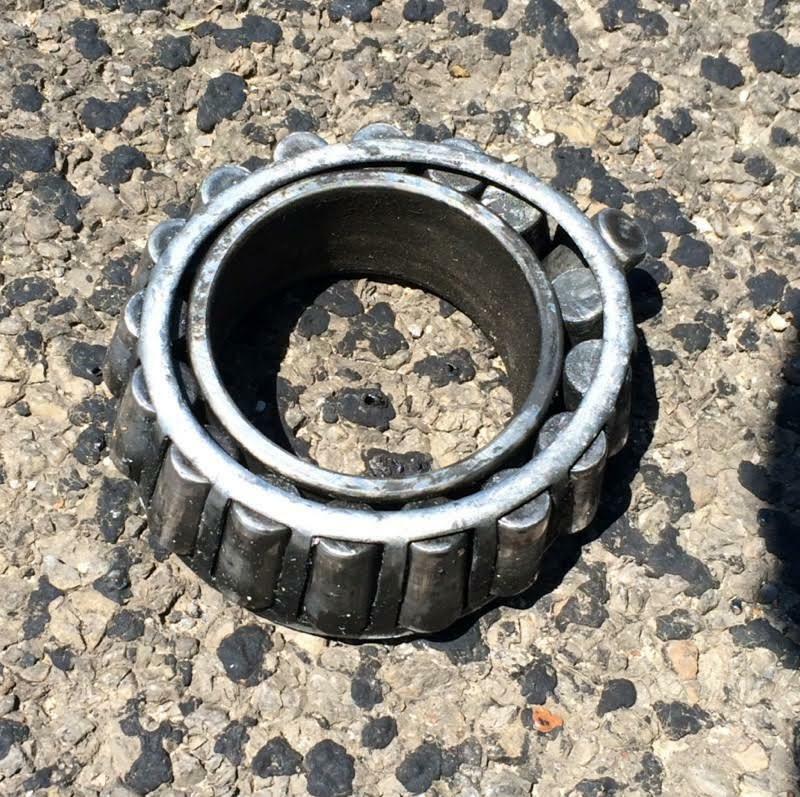 This bad wheel bearing is believed the be the culprit (photo by Ricky Taylor). Troopers Darwon Evans and Allen Stanton were dispatched to investigate. 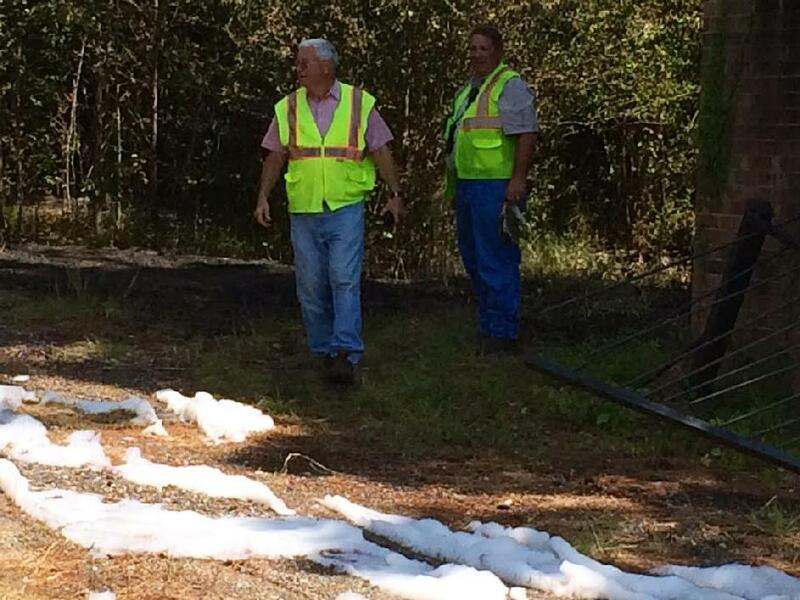 Livingston Fire Chief Corky Cochran (left) and Assistant Chief John Haynes at the scene (photo by Ricky Taylor). Powder from a fire extinguisher rests on the busted wheel of Flores' rig.